They are a family business founded by a guitar player, a drummer, a journalist, an architect and a dog. 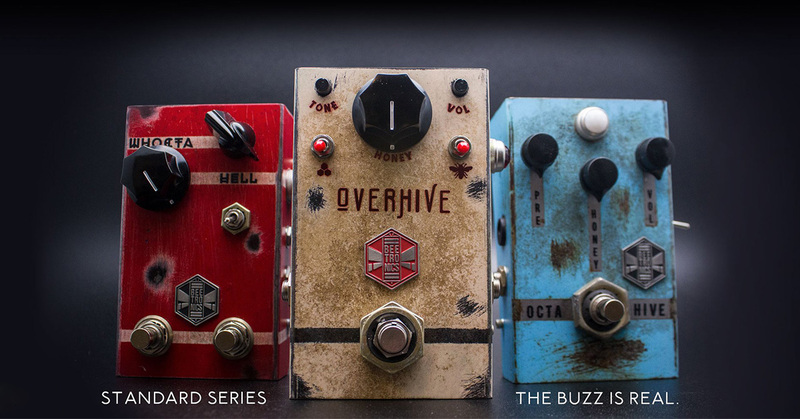 Their pedals are handmade in California. Every pedal they make is unique, hand made and there are no two exactly alike. They have fun while doing it. Bee Yourself!